Dress for success! Hockey or basketball playoffs. 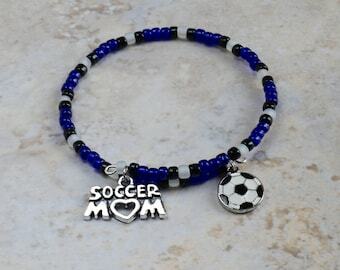 Baseball Mom Charm Bracelet - Game Day Team Spirit Jewelry - Team Mom Gifts in Custom Team Colors! 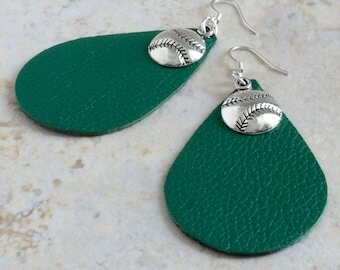 Leather Leaf Baseball Earrings for Women - Team Spirit Gifts - Softball Mom Sports Jewelry - 12 leather colors to choose from! Announcement Welcome to Team Colors by Carrie, where team spirit is always in season, and you'll find the perfect jewelry in your favorite school and sports team colors! Search by color, or browse the shop sections dedicated to fans of baseball, basketball, football, hockey, soccer and more. If there’s a must-have color you need for your school or team, please use the handy "Request Custom Order" button, and I'll be happy to create something special just for you. Let’s do this! 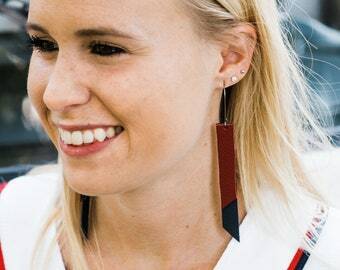 Shop the Baseball Jewelry and Game Day Earrings sections to see the latest additions, and each sports section to see the new latest in charm bracelets! Get the best deals, early access to new products and 25% off your first order just for signing up for my VIP newsletter! 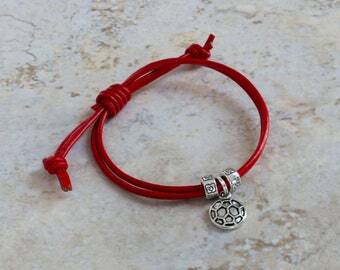 Welcome to Team Colors by Carrie, where team spirit is always in season, and you'll find the perfect jewelry in your favorite school and sports team colors! 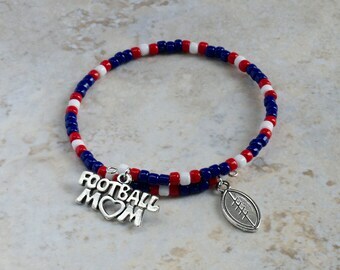 Baseball Mom Team Spirit Charm Bracelet - Team Mom Game Day Jewelry - Beaded in Custom Team Colors! 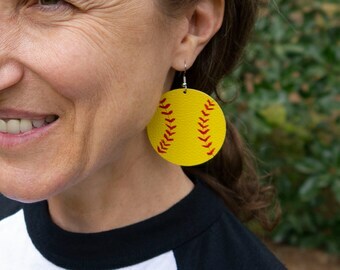 Baseball Mom Leather Leaf Earrings - Game Day Softball Gifts - Team Spirit Sports Jewelry - 12 color options! 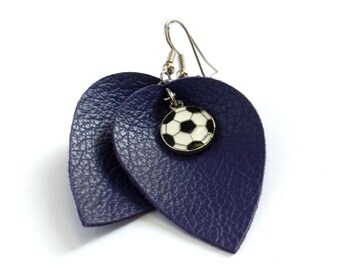 Leather Soccer Earrings - Soccer Ball Jewelry - Soccer Charm Earrings - 12 leather colors to choose from! 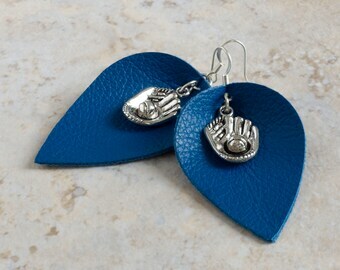 Leather Teardrop Game Day Earrings - Sports Fan Team Spirit Gifts - Team Colors Jewelry - Choose from 12 colors and 25 sports charms! 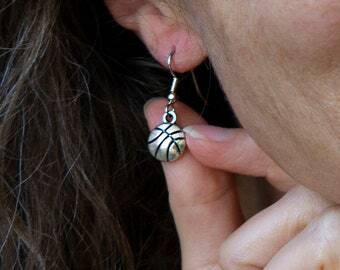 Leather Drop Earrings with Engraved Pewter Ring - Unique Game Day Earrings for Women - Team Spirit Gifts - Limited Edition! I love these! 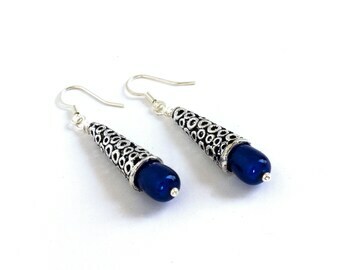 They go perfectly with the pendant I purchased from another Etsy seller. I can't wait to wear them! Thank you for an excellent transaction! Very cute! I purchased this as a gift and also one for myself. Great customer service, and fast shipping. I’m looking forward to wearing it this season and would definitely be a repeat shopper here. Thanks! Get ready for your next trip to the ballpark! 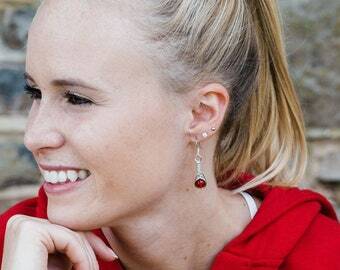 These earrings feature a baseball and bat charm, and 2 leather colors of your choice. Something new for you softball fans! 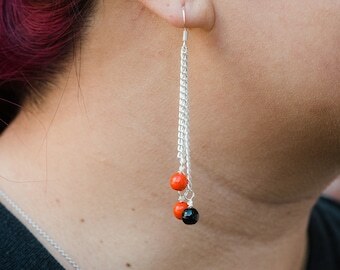 Soft leather earrings, hand painted to look like softballs! Baseball fans love their team spirit wear for game day or every day. 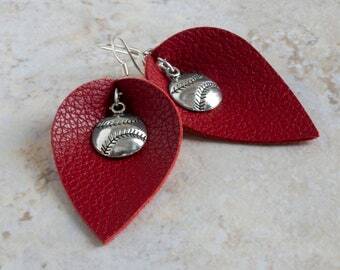 Support your favorite team with these new baseball charm earrings, available is 12 leather colors! We are die hard Green Bay Packers fan, and I love to wear my team colors to the game! Welcome to Team Colors by Carrie - Where Team Spirit is Always in Season! 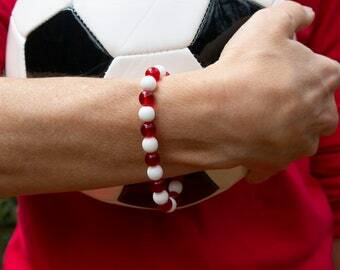 You don’t all cheer for the same team, so why should you have to wear team spirit jewelry that all looks the same? 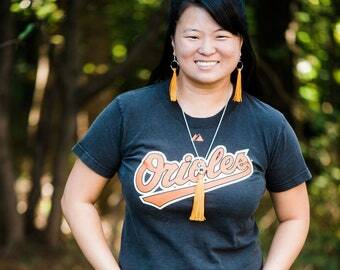 Team Colors by Carrie designs and creates unique jewelry and accessories for sports fans that doesn’t look like everyone else’s. 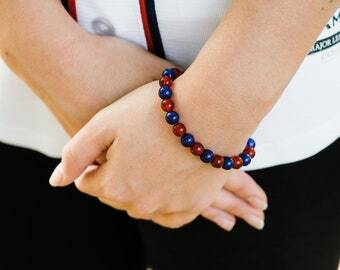 I’ve been making bracelets and earrings since my children were little, when I figured out that wearing jewelry in their sports team or school colors was a great way to support their football, baseball, basketball or soccer teams, or even the high school marching band. I had team spirit going on for days, and it wasn’t long until other moms would ask me where they could get the jewelry for themselves. Always happy to make something for them, I was the mom with all the spirit to give and I loved it. And now, I’m thrilled to share my passion with you and help you root for your favorite sports team or wear your favorite school colors. I love to make jewelry, and I've been known to go a little overboard when it comes to supporting my favorite schools and sports teams! My shop shares that enthusiasm with you, because team spirit is always in season! I, Carrie Dix, am the data-controller of your personal information as it relates to my shop, Team Colors By Carrie. Many items are ready to ship in 1-2 business days (not including weekends). Custom orders normally take 3-5 business days to complete, but if you have concerns about when your order will ship, please contact me. I ship all orders via USPS First Class Mail, which normally arrives in 3-5 business days. USPS Priority Mail is available at checkout, for arrival within 1-3 business days. You will receive a Tracking Number via an e-mail from Etsy once your item has been shipped. Purchases come packaged in a white gift box tied with a bow. Please see the photo for more detail. Gift wrapping is available for a small upcharge. The box will be shipping in a padded envelope, or in a small cardboard box for larger orders. Many of the items in the shop can be customized with your choice of colors, charms, sizes etc. If you don’t see what you are looking for, please contact me to request a custom order, so I can create something special just for you! Store jewelry pieces individually, in separate boxes or fabric bags. Be extra careful with leather jewelry, as water can discolor some leathers. Use a damp cloth if cleaning is necessary. Stretch bracelets come in 4 standard sizes (6.5", 7.0", 7.5" and 8.0" bracelet length), but can be custom ordered in any size. If you need help determining your size, take a look at the measurement guide in the photos of each product listing. Wrap bracelets are made on memory wire that adjusts to fit wrists from 6.0" to 9.0". Leather bracelets come in 4 standard sizes (6.0”, 6.5", 7.0" and 7.5" bracelet length). How do I get the VIP Newsletter?